32002 Spitfire cockpit door with separate crowbar. 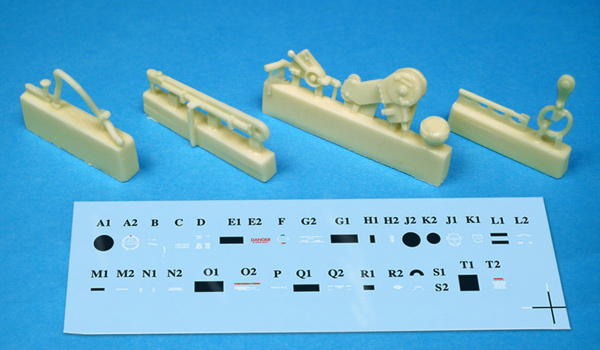 Conclusion: High quality detail parts for the new Tamiya 1/32 scale Spitfire VIII and IX kits. BarracudaCast is the resin accessory arm of Roy Sutherland's growing Barracuda Studios enterprise. 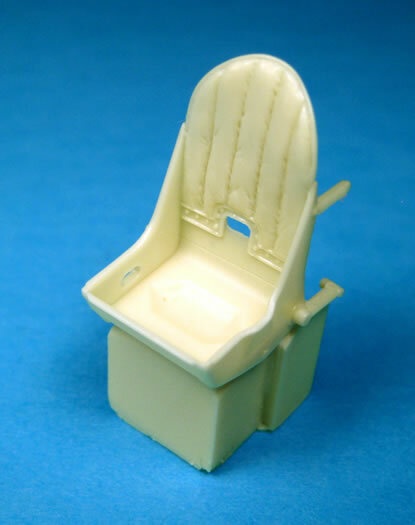 Set 32001 is a straightforward replacement for Tamiya's standard seat. 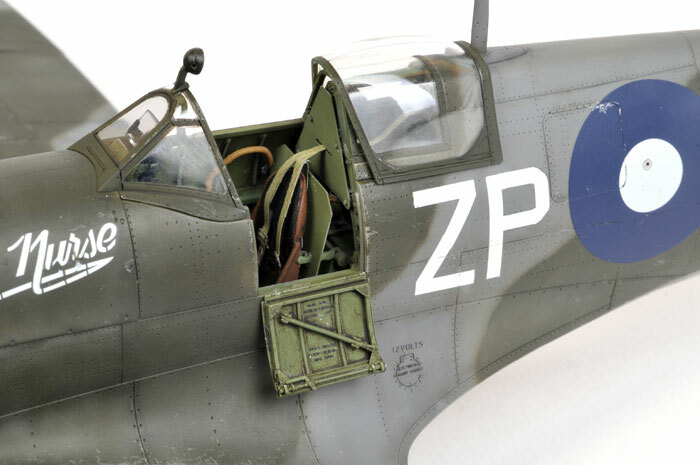 The BarracudaCast version is moulded with the cushioned leather backrest often seen fitted to the Spitfire seat, so this will be a relevant and useful way to customise your model. 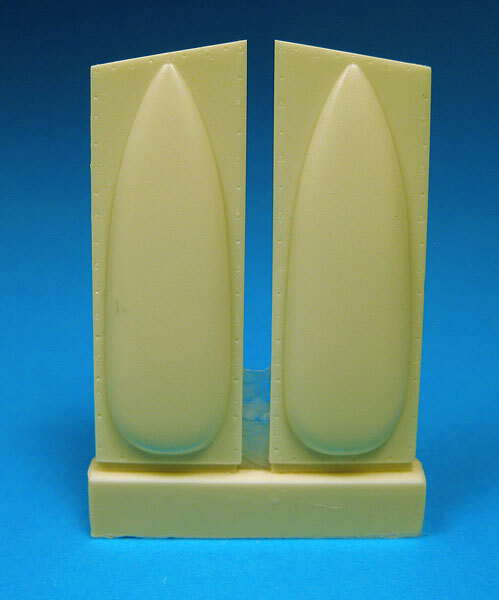 One of the very few disappointing aspects of the Tamiya kits is the pilot's entry door, which suffers from tricky ejector pin marks and a flat, moulded-on crow bar. BarracudaCast 32002 offers a replacement with a clean inside surface and a separate crow bar. This is a real improvement, and a worthwhile investment for anyone building either of Tamiya's Spitfires with the pilot's door open. Item 32003 is an upgrade for the kit cockpit. This includes throttle and retraction quadrants, a new compass, control column and oxygen hose. 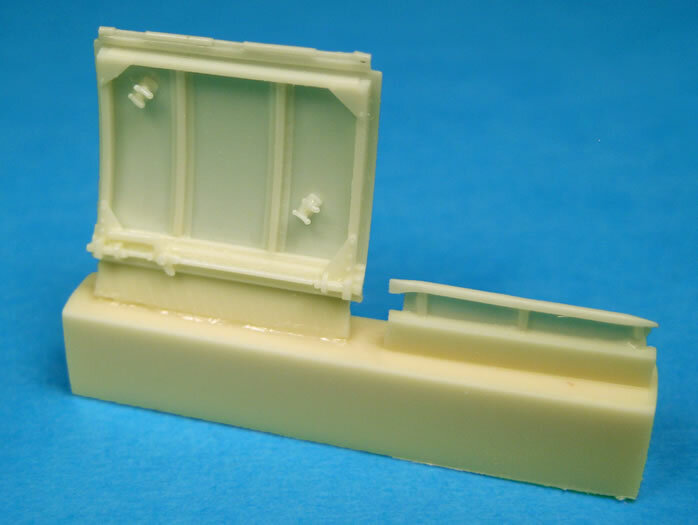 The replacement parts are beautifully detailed, and will benefit from careful painting. The oxygen hose is especially welcome as Tamiya does not include this part with the kit. Also included is a very useful set of cockpit placard decals. These may be small, but they have a big impact on the Spitfire's front office. The instructions are noteworthy for their clarity and the beautiful workmanship found on the photographed example. Part 32004 is a set of rocker covers for the engine with the Rolls-Royce emblem cast in place. This will be anice enhancement for models with the engine on display. 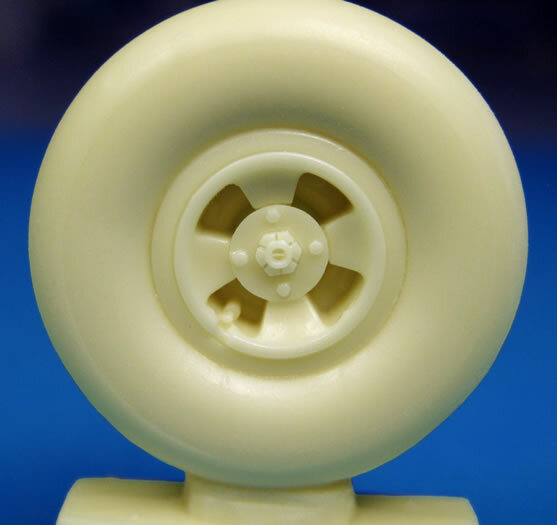 If you don't like vinyl tyres, BarracudaCast has you covered with the choice of four and five slot main wheels. Each wheel is supplied as one piece in resin, with the bottom of the tyres subtly bulged and flattened. These are item numbers 32005 and 32006. 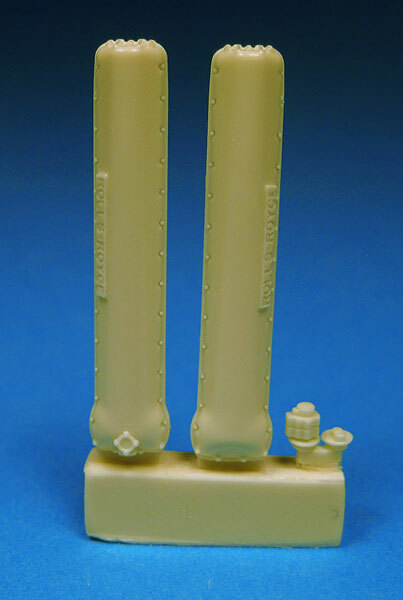 The final product in this array of releases is item number 32007, replacement wide gun bulges for the early C wing. The shape of this bulge on the Tamiya kit triggered much controversy, as it appeared to be too squared off at the front. BarracudaCast has now released a replacement for the kit part with the more conventional rounded appearance at the front of the bulge. All seven accessory sets are beautifully cast and easy to clean up. 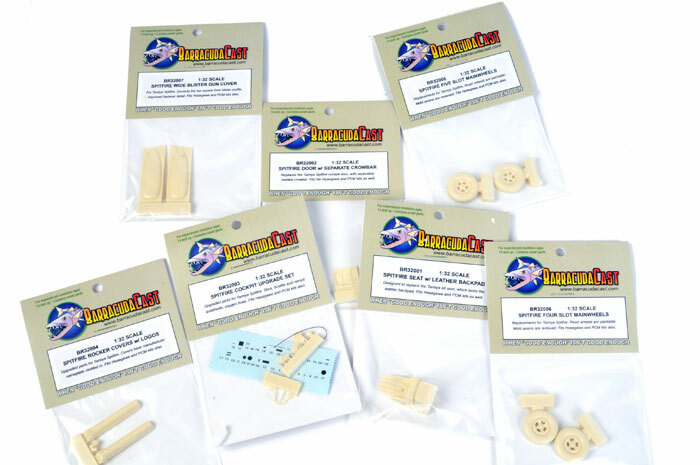 If you are building either Tamiya's 1/32 scale Spitfire MkVIII or Mk.IX, BarracudaCast's accessories will be very useful enhancements. I have used the seat, the entry door, the wheels and elements of the cockpit set in my recent Spitfire VIII build and I was delighted with the results.